Bogor, Indonesia (13 June 2012)_By the President of the Republic of Indonesia, Dr. Susilo Bambang Yudhoyono, at the Center for International Forestry Research (CIFOR). Let me begin by expressing my appreciation to the Center for International Forestry Research (CIFOR) for organising this event. Let me also congratulate CIFOR for its strong contribution to Indonesia for the past twenty years in the field of forestry research, education and development training. 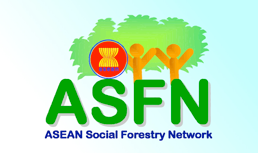 Indeed, it has become a global scale international organisation in the field of forestry. This event could not be more timely. Next week, I will depart to Mexico to attend the G-20 Leaders meeting in Los Cabos. Right after that, I will go to Brazil to attend the Rio+20 Summit in Rio. In September, at the invitation of the UN Secretary-General, I will travel to New York to attend the High Level Panel Post-2015 Development Agenda. In all these places, we all hope for constructive outcomes that will make us feel better about the future direction of the world. Our planet is under duress. The human race faces enormous challenges. Our common future is filled with hope, but it is also riddled with questions. Big questions. It took tens of thousands of years for the human race to reach 1 billion people around 1800. It took merely 13 years for humanity to reach the last billion since 1999. The good news is that world population will peak and stabilise at around 9 billion, perhaps by around 2045. But A LOT will happen between now and 2050. There will be major economic, environmental, social changes – not to mention political and security changes. Economically, for example, the world GDP will expand dramatically. In Asia alone, by 2050, in an optimistic scenario, the combined GDP of its economies will reach some US$ 161 Trillion. According to the ADB, 90 percent of that growth will come from the Asia-7: China, India, Japan, South Korea, Malaysia, Thailand and Indonesia. As prosperity spreads, the number of countries climbing up the ranks of middle-income countries will grow, and so will – we hope – the number of countries graduating to advanced economy status. This will be coupled with the continued growth of the middle-class. The Economist reported not long ago that, for the first time in history, half of the world population can be loosely defined as middle-class. And this phenomenon will intensify. In Asia, AN ADDITIONAL 2 billion people will join the middle-class by 2050. Indeed, this middle-class phenomenon – always dreamed-of but only occasionally achieved in previous centuries – will become a key feature of the 21st century. The global landscape will also change due to rapid urbanisation, which will rise in parallel with the proliferation of mega-cities. In Indonesia, we crossed that 50 percent mark of urbanised population 4 years ago. By 2025, 65 percent of our population will live in cities. In short, we are heading towards 9 billion people, along with their needs and means. That amounts to a lot of mouths to feed. A lot of people to produce for. A lot of economies to power up. The problem is : our natural ecosystems and regenerating bio-capacity are being severely degraded, therefore compromising the ability of the planet to sustain life. Our natural resources are depleting, some rapidly. Natural ecosystems are threatened. Water, land and air are getting increasingly polluted. Water reserves are falling. Soil erosion is leading to desertification. Global warming is already happening. And species are dying out faster than their innate rate of extinction. We are living in a world of cruel paradox. It is a world of plenty, but it is also a world growing inequity. It is a world marked by a sea of opportunity, but it is also a world of rising scarcity. It is a world of wonderful connectivity, but it is also a world burdened by rising insecurity. We are already seeing a worrying rise in resources competition, some of which have turned into conflict – and the possibility of war cannot be totally dismissed. This cruel, dangerous paradox cannot be addressed by wishing it away. It cannot be resolved by ad hoc policy fixes here and there. It cannot be resolved just by allocating more resources to those issues. What is required is a fundamental reinvention and reorganisation of societies throughout the world. It also requires the international system to work more coherently and more purposely to address what is inherently a global problem. I believe we CAN turn plenty into better equity. We can maximise opportunity while minimising scarcity. And we can use connectivity to promote security. But to achieve all this, the time to choose is NOW. And the time to Act is NOW. What are our choices ? We can choose to continue to exhaust the present course, the same course that has been in place for decades and centuries. A world where we obsessively chase after economic growth without regard for ethics or the environment. A world of excessive exploitation of resources, and insatiable consumerism. A world driven by “greed” rather than “need”. If we go down this path, we will only find more of the same. It will lead us to more environmental degradation. More deforestation. More pollution. More global warming. More endangered species. More conflict between man and nature. And ultimately, more desperation for the human race. The other option is to chose a different course, and to break from the practice of the past where we need to. We can opt for a different way. A new way that would guarantee a better future for world economies and citizens. For this ‘new way’ to succeed, participation must be top bottom and bottom up. We are encouraged by the high-level of environmental activism among Governments, international organisations and NGOs in recent years. Ultimately, however, we need participation from the smallest unit in society, which is the individual. It is the individual who will ultimately have to make the choice of what he or she will buy, eat, drink, waste or burn. And it will not be an easy choice because more and more individuals will have greater purchasing power and the luxury of options in his life. Unless we change the excessive consumption habit of world citizens, we will all run into a brick wall. As we grapple to overcome problems of scarcity, we are well advised to go back to what is essential: to fulfill the simple hope and basic needs of our citizens. I believe their hope is rather simple: they want to be assured of a peaceful and prosperous life, and they want to live free from the fear of what the future holds for them and their children. I have found that somehow, the more people modernize, the more they yearn for simplicity and a happy life. When we are able to meet the basic needs of our citizens, we will establish a much stronger foundation for national and international security. Today, we are seeing seismic power shifts in the international system. New emerging powers are changing the weight of the world, and shaping the new global agenda. The changing international landscape should do more than to add to the already large crowd of power holders. They must also contribute to better resolutions of global problems. Thus, more than power shifts, we need a paradigm shift. We need a new way of looking at the world, and a new way to work the world. Equity is critical because it is about fairness. It is about justice. Without equity, we end up with restlessness and anxiety. Without equity, we end up with marginisation. Without equity, we end up with hopelessness and without a sense of shared destiny. Economic growth and justice are mutually reinforcing. And participation of economic actors in an inclusive and comprehensive way will not only increase justice, but also strengthen the sustainability of growth. It will also reduce inequality and development gap as well as balance economic, social and environmental objectives, for the present and future generations. This is why in the G-20 Leaders discussions on the fixing the world economy, I have always stressed the importance of the “inclusive” growth, because without this element, growth would be twisted. I am pleased that the G-20 have now been persistent in calling for a “strong, balanced, inclusive and sustainable growth” in the world economy. A key part of sustainable growth with equity is recognising that the serious climate and environmental problems that planet Earth faces are not imagined – it is REAL. Climate change is man-made, and its solutions are also man-made. We must arrest the growing trend of “ecological footprint” deficit worldwide. According to one estimate, among the 20 largest economies in the world, 15 are in a position of ecological footprint deficit. Among others, Brazil, Argentina, Canada, Russia and Indonesia are in a state of ecological footprint surplus. Only by turning ecological footprint deficit into surplus can we achieve a “sustainable life”. To be sure, we cannot achieve “sustainable growth with equity” without addressing climate change. They are two sides of the same coin. In Indonesia, many of our islands and their inhabitants are already threatened by sea level rise. And rising temperatures and extreme weather patterns have already affected crop yields, a phenomenon that is expected to continue in the years to come. This is, of course, happening throughout the Asia Pacific. That is why sustainable forestry is critical to our efforts at sustainable development as well as to our climate mitigation efforts. Our forests cover 69 percent of Indonesia’s land area and 31 percent of the global land. They hold a massive number of biodiversity that needs to be sustained. As a mega-diverse country, we have about 12 percent of the world’s mammals, 16 percent of the world’s reptiles and amphibians, 17 percent of the world’s birds, 25 percent of fish species, and over 38,000 of plant species. We consider this God-given rich biodiversity as enormous national treasures. It is worth reminding that sustainable forestry was not always an obvious policy choice. In the 1970s and 1980s, Indonesia favoured a different forestry policy. Put in other words, our forestry policy was to allow anyone to cut our forests so long as it gave benefits to development. It seemed the logical thing to do back then. We had lots of forests; we had to reduce poverty; we needed to grow our economy. As a result, there was a time when we experienced very serious deforestation. Today, such a policy is no longer tenable. Losing our tropical rain forests would constitute the ultimate national, global and planetary disaster. That’s why Indonesia has reversed course by committing to sustainable forestry. We passed a law that would permanently conserve 35 percent of our tropical rain forests. We have also applied a moratorium for new permits on primary natural forests and peat lands to improve our forest and peat land management system. This new policy enhances the efforts to reduce our deforestation and thus contribute significantly to the reduction of greenhouse gasses emissions. I am pleased to inform that our deforestation rate has declined from 3.5 million hectares per year to less than half a million hectares per year in a decade period. I am also heartened by the progress of the One Billion Indonesia Trees for the World (OBIT) program. I am pleased to inform you that in the past two years we have planted some 3.2 billion trees – not 3.2 million, but 3.2 BILLION trees. In short, to promote sustainable forestry, we took stock of the situation, found serious problems, made quick adjustments, introduced new policies, and reformed our development model. We did not blame the past, but we took action to correct the future. Indeed, there are a variety of effective tools that we can use to promote sustainable growth with equity. We can use policy measures. Governments can pass laws and regulations that would place sustainability at the heart of social activities; and also incentivise and reward activities that reinforces sustainability. Governments can take the lead in raising public awareness. Governments can also undertake measures to help spread opportunity and provide a hand-up to those at the bottom of economic ladder, for example by promoting micro-credit. We can also do more to alter our lifestyle so that it becomes climate and eco friendly, and fits harmoniously with our green growth agenda. In an era of hyper consumerism, this will require a great deal of public education – in our home, in our schools, and in our work place. And we can also use more technology. Whether we are talking about food security, energy shortage, or climate security, a great deal of our problems can be resolved with technological innovation. I believe that, more than ever, technology will be the greatest driver of change in the 21st century. I am pleased that we are now seeing a new trend where emerging economies too are becoming centers of new innovation, and are spending more of Research and Development. This is a good sign. The important thing is that, where possible, all this innovation is not only invented but shared with others for mutual benefit. Governments, the private sector and NGOs can all do their part in making this happen. Ladies and gentlemen, promoting “sustainable growth with equity” will be a constant learning experience. As it is with me. When I came to office as President in 2004, my development mantra had 3 basic components: pro-growth, pro-poor, pro-jobs. Three years later, in 2007, Indonesia successfully hosted the UN Climate Conference in Bali, and ever since then we became very active in global climate diplomacy. And we expanded our development strategy: not just pro-growth, pro-poor and pro-jobs, but also pro-environment. Today, environmental sustainability is at the heart of all long-term development plans, both at the national and local levels. In all this, political will was crucial and remains crucial. It was not always easy to environmentally sound policies. But it was necessary, and it was the right thing to do. So we pushed hard at it despite some resistance. Why is political will important ? Because in most cases, the solutions are actually simple, but they are hard to achieve. Reduce emissions. Consume less. Shift to renewables. Conserve forests. Save energy. Share technology. Take global action. These prescriptions are all known to us. They are part of the global conscience. They are supported by public opinion. But too often the solutions become stuck in narrow self-interests, short-sighted politics and rigid diplomacy – or a combination of them. There are two major issues that will affect the prospect of sustainable growth with equity. The MDGs and the Kyoto Protocol. On MDGs, we have indeed come a long way in our efforts to reach the MDG targets, for example: in reducing poverty, reducing child mortality, promoting basic education, and others. Despite on-going concern over global financial stability this year, we must make use of the next few years to make maximum gains on these MDG targets until 2015. We must now begin to think about what the international community need to do after 2015, when the present over arching development framework for MDG will end. The MDG is arguably the most ambitious global development project ever undertaken in history. What is certain is that we still plenty of developmental work to do. What is certain is that by 2015 we will have a better foundation for development as a result of MDG programs, and that we will have a rich body of lessons learned, both from successes and failures. We will need to do all this during the MDG Mid-Term Summit Review Review next year. Let us make sure that the post-2015 post-MDG global development framework be long-term, comprehensive, resourcesful, ambitious, global and able to built upon the achievements of the MDGs. Another milestone global treaty is one that will expire at the end of this year is the Kyoto Protocol. The international community has made some progress since Kyoto Protocol was first signed. We have achieved common understanding and willingness to reduce greenhouse gas emission. A number of countries have voluntarily committed to reduce the greenhouse gas emission. Indonesia’s target for 2020 is reducing 26 percent of the greenhouse gas emission – or 41 percent with international support. Carbon market is already established – even though its work is still far from what was initially expected. Even though the world GDP dropped 0.6 percent in 2009, the volume of carbon trade still demonstrates surprising resiliency – with the market value increased about 6 percent. At this time, the driving force of carbon market is still dominated by European countries which are now facing economic and financial crises. In the spirit of common and differentiated responsibility, Indonesia believes that developed countries should take the lead in reducing emissions, but developing countries should also do more. Unfortunately, not all developed countries which are the emitters of greenhouse gas have agreed to the Kyoto Protocol. And the fact remains : many developed countries have failed to fulfill their commitments which were agreed in Kyoto. Also, programs that link efforts to reduce greenhouse gas emission with programs of technology transfer and poverty reductions in developing countries (non-annex) did not work as expected and targeted. The first commitment of the Kyoto Protocol ends at the end of this year. We expect to have an interim arrangement for a second period commitment which will last either five years to 2017, or eight years to 2020, which will be decided in Doha, Qatar. However, that second commitment is still no substitute for a global climate treaty that is still elusive to this day. It also faces the challenge of how to galvanise the interest of the carbon market to the second commitment. Whatever the outcomes, we need to ensure that there is good synergy between the post-2015 post-MDG global development framework and the emerging global climate architecture. Their goals are, after all, mutually reinforcing. We need to ensure that the post-2015 framework of global development collaboration be built upon the principles of equality and open participation to all stakeholders. It must be aimed to empower the poor in developing countries. It must uphold the principles of cooperation and common responsibility that benefit all countries. And It must give greater role and access for emerging countries to participate actively in the efforts to reduce poverty and address environmental issues. And whatever the framework, it should inch us closer to strong, balanced, inclusive, and sustainable economic growth. What does that mean? Strong growth includes being able to fulfill the increasing basic needs. It means being able to create a higher employment opportunity than the current growth of the working age population. It means being able to provide increasing supply of resources, while also able to increase the income level above the inflation rate, to increase the people’s purchasing power. Balanced growth refers to growth which does not rely solely on the consumption and government budget, but also supported by investment and exports, and vice versa. It signifies growth in terms of both demand and offer. It means growth that is neither concentrated on one or two countries, nor dependent only on one economic sector or area. A quality growth needs to be supported by the development of secondary and tertiary sectors, and should not only rely on the extraction and exploitation of natural resources. In 2025, Indonesia aims to have an economic structure in which the 55 percent is supported by the tertiary sectors, the 36 percent by the secondary sectors, and the rest by the primary sectors. To accomplish this target, Indonesia plans to downstream the primary sectors and to provide additional values to the mining, forestry, agricultural and fisheries products. The increasing level of the production output is balanced by the improvement of the quality of the environmental resources. Inclusive growth indicates an increase in every country’s access to technology, information, and capital in order to strengthen international connectivity. It requires fair access to production, distribution, and consumption, which emphasises the aspect of affordability. It also necessitates increasing participation of micro-small and medium enterprises in the production process to create a strong and inclusive economic structure. Finally, sustainable growth points to the existence of an optimal balance between economic, socio-cultural and environmental aspects. Here, economic growth needs to be supported by investments in people and technology. Indonesia plans to extend the limit of compulsory education program for children from the age of nine to the age of 12, starting the year 2013. No exploitation of resources should exceed its biological regenerative capacity. Next week, I will join a number of world leaders and thousands of participants from all over the world for the Conference on Sustainable Develop-ment in Rio de Janeiro to mark the 20th anniversary of the Earth Summit. The event will be an opportunity for world leaders to renew their political commitment on developing a global green economy through sustainable development and poverty eradication. I will use the opportunity to send a message and call for action for the sustainable development agenda in the post-Rio + 20. Lets take responsibility for the future of human race and for mother earth. All citizens of the world. Developed and emerging and developing nations. International and regional organizations. Private sectors. Environmentalist. All stake-holders. We must avoid the dangerous trap of a waiting game. Consensus building – especially on global stage – will take time to build. We know the problems. We know the solutions. We must act now. We are now in the midst of an uncertain global economic picture, especially with events in Eurozone economies and the upcoming referendum in Greece. We all have a stake in the speedy recovery of Eurozone economies. What happens there remind us that no economy – no matter what their upward trajectory is – should take their growth for granted. It also reminds us that unemployment is a potentially explosive global problem. Indonesia too was hit during the global financial crisis of 2007 but back then we took swift action to prevent the worst from happening. We quickly convened meetings with all stakeholders – including corporate leaders and labour – and made sure they understood the importance of having no lay-offs. In our view, the Government could be broke, but not the people. As a result, we kept growth resiliently at around 4.5 percent during the height of global financial crisis and bounced back to 6.5 percent last year. That experience taught us that confronting challenges head on, while trying to be one step ahead of the problems. When the international climate negotiations faced a deadlock, Indonesia broke grounds – and indeed broke ranks – by announcing a new policy that we would aim to reduce emissions by 26 percent by 2020 and up to 41 percent with international assistance. And when faced with growing economic and environmental pressures, we responded by adopting the national policy of “sustainable growth with equity”. It is with that same belief in the power of courage and the power of creative solutions that Indonesia seeks to work with all our international partners to find answers to the major issues of our time.